Chuck Bean is an executive and civic leader with more than 25 years of leadership experience in nonprofits, philanthropy, and government. Bean is Executive Director of the Metropolitan Washington Council of Governments, where he is responsible for its overall administration. 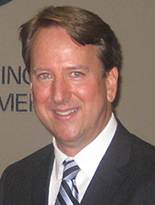 He became Executive Director in December 2012.